A New York City landmark building is reborn with special thanks to the 20th century actors who originally created it and to the 21st century designers who recast it as the Chatwal. It was the late 19th century, and American theater was alive and well in New York City. A group of dedicated actors and enthusiasts wanted a private venue in which to share and expand their craft. For this purpose they created the first American theatrical club, the Lambs Club. The Lambs Club is based on a similar clubhouse for Londoners, named after drama critic and essayist Charles Lamb. Manhattan’s Lambs Club was to be a grand retreat that included accommodations, private dining, banquets, billiards, and, of course, a theater. The architect hired to design the new clubhouse was Stanford White of McKim, Mead and White. Stanford White was already well established and was credited with projects for the Astors and the Vanderbilts, as well as numerous public buildings around New York City. The new brick-faced Neo-Georgian Lambs Club building was completed in 1905. By 1915 membership had soared, and a “mirror” addition was built, thereby doubling the size of the club. The expanded building was dedicated a New York City Landmark in 1974 and is now the home of the Chatwal hotel. The Chatwal is a visual celebration of the Golden age in New York City. The architect/designer responsible for this remarkable transformation to luxury hotel is Thierry Despont, a master of hospitality design. The historic architectural elements of the building have been restored, and Despont has purposefully recreated the essence of this great period in design in other areas of the hotel. The hotel offers 76 guest rooms of which 26 are suites. 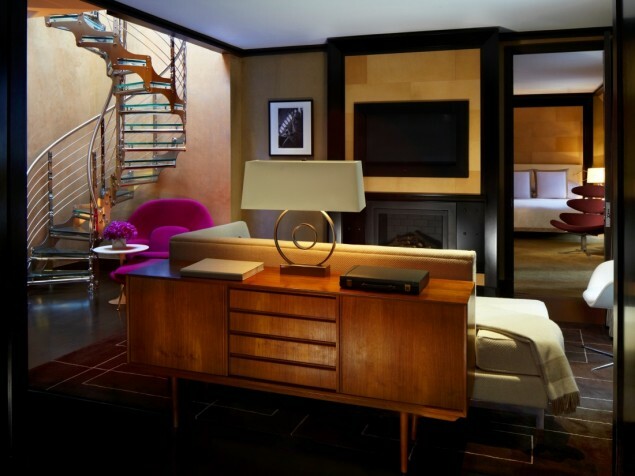 Every guest room is individual and luxurious, evoking the allure of the Art Deco period. The details and characteristics of this period are a perfect fit today, blending classic contemporary furnishings and sleek modern accents. The Chatwal pays tribute to one of the Lambs Club’s many iconic members by dedicating the entire penthouse floor the Barrymore Suite. This is one very spacious suite at, 4,500 square feet, and has its own large roof terrace. 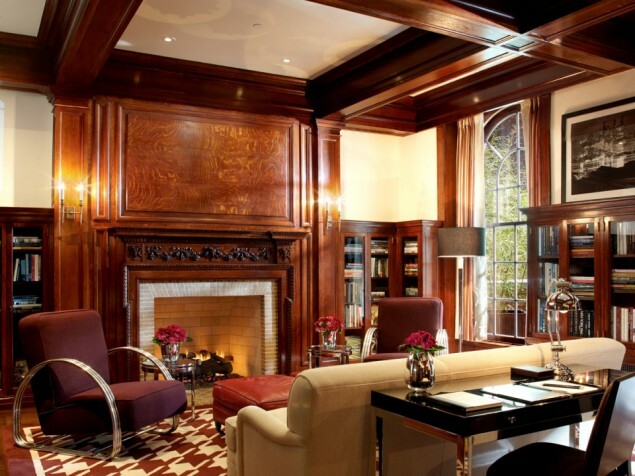 Another feature suite is the fully restored Stanford White Suite, which was formerly the club’s library. 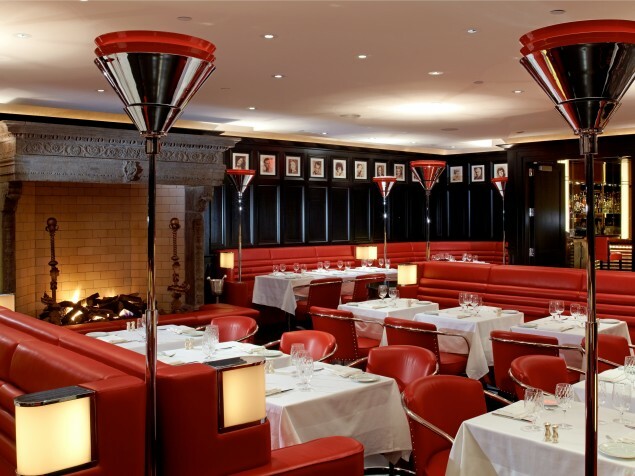 Fine dining is presented in old New York glamour at the Lambs Club Restaurant, located in the original Grill Room. Executive Chef Geoffrey Zakarian creates contemporary American cuisine for a new generation of VIP diners. 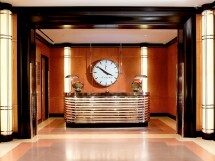 The setting exudes Art Deco, and the walls are decorated with photos of the club’s famous members. The Lambs Bar is intimate in size and as glamorous as the restaurant. We especially like the suspended “architectural” light fixtures. The Chatwal is also the perfect address for another classic, the Red Door Spa at the Chatwal. Elizabeth Arden’s Red Door Spa is a world-renowned institute of beauty and wellness that has been serving its customers for over 100 years. The Chatwal can accommodate meetings, private dining, and social gatherings for up to 90. Small group receptions will be enjoyed and remembered in the historic Stanford White Suite. There is nothing quite like the Chatwal. It has style and it has soul. The original Lambs Club, for theatrical professionals to gather, wanted the best that money could buy for their new clubhouse. 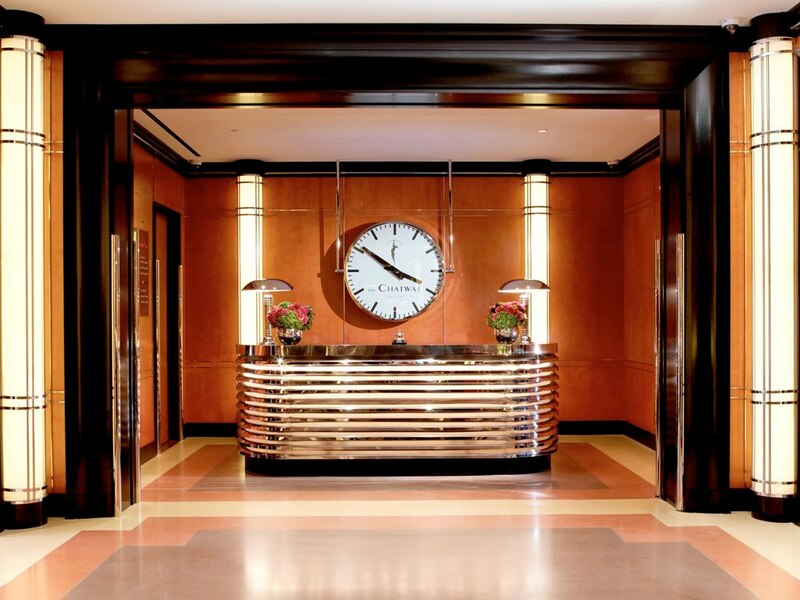 We are fortunate that the building became a protected landmark and thrilled that the right design team took this Art Deco beauty to the next level as an exclusive boutique hotel.